During 2017-2018, inheritance tax receipts rose substantially to a record high of £5.2 billion securing a considerable increase in revenue for the treasury. Since April 2017, a new “residential” nil-rate band was introduced. The new residence nil-rate band entitles individuals with direct descendants to leave an additional £100,000. This means that by April 2020, couples will be able to leave a family home worth £1million without having any inheritance tax due. The Office for Budget Responsibility (OBR) has produced a forecast of the impact of the new nil-rate band on inheritance tax receipts. The OBR has suggested that the new band could reduce inheritance tax receipts by roughly £200million in 2017-18 and by roughly £1.5billion in 2020-21. 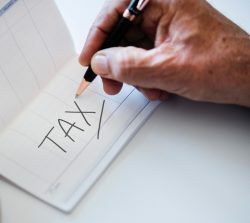 It is evident there are substantial complications in the current inheritance tax system, which has led to a Government review of the inheritance tax system, which may result in substantial changes to the tax in this year’s Budget. For advice on estate planning contact Stephen Mullan or John Carruthers at Oraclelaw Solicitors.